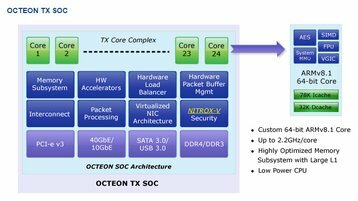 Cavium, a provider of hardware based on ARM cores, has introduced a new range, Octeon TX, based on ARM v8 cores using the latest standards, consisting of four product lines differentiated by number of cores, memory, and performance levels. The new SoC combines technologies from older product lines but provides a system on a chip (SoC) that can better address the needs of data centers and service providers by fitting into the infrastructure as core NFV component configurable to meet the demands of any use from network routing to firewall, a major plus in any infrastructure looking to use NFV and SDN to deliver networking services. 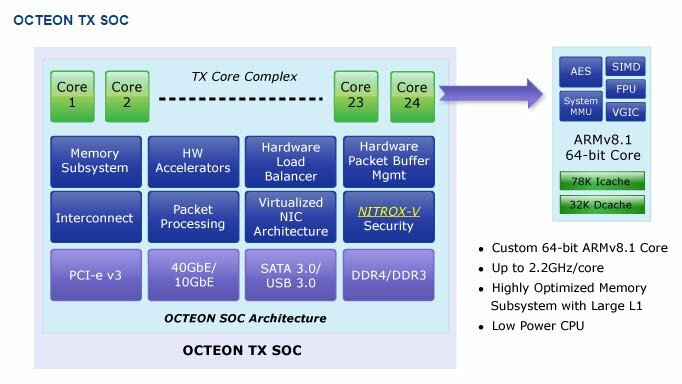 The SoC is designed to meet the needs for both the control and data place, with the technology already baked into the hardware, making the Octeon TX suitable for a wide range of embedded deployments within the enterprise. Vendors will be able to deliver products based on this hardware that are tailored to meet the specific needs of the role envisioned by the hardware designer while the commonality of the environment simplifies management and deployment issues. This will help expand the traditional embedded controller market into many common data center roles, Cavium hopes, from data accelerators to storage appliances to IOT gateways and network routers. 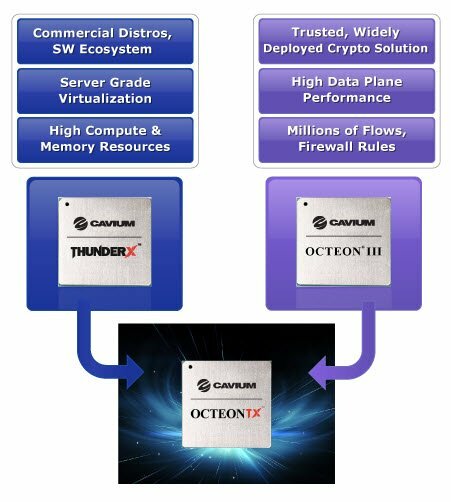 Cavium was one of the early adopters of 64-bit ARM technology, but it never produced a 32-bit product, instead going straight to a complete 64-bit environment for developers and users. 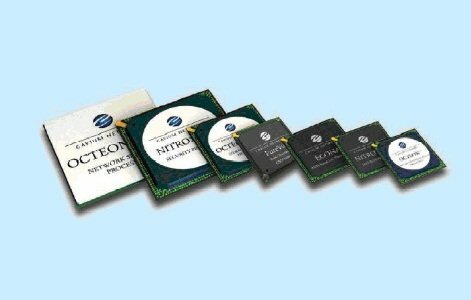 The full product scales up to 96 cores and from 800 MHz to 192 GHz. Packet acceleration and virtualization are part of the hardware support, and the silicon also included hardware accelerators for packet throughput and compression. The one to four core product lines will begin sampling this quarter, with the 8 to 24 core lines sampling in Q3.